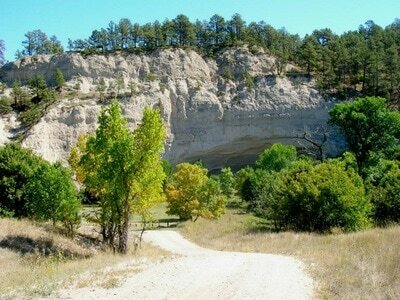 The Nebraska National Forest has nearly 80 miles of trails in the greater Pine Ridge Trail system, besides the Bison Trail at Toadstool Geologic Park. 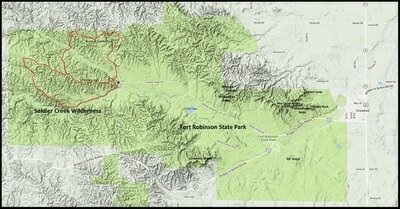 The best map for all these trails may be purchased at the National Forest Office in Chadron. 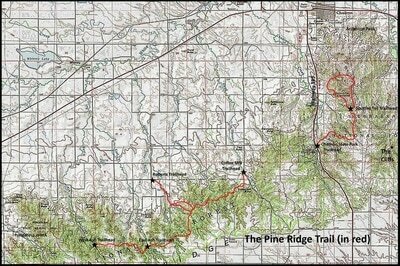 The first map below shows the Pine Ridge Trail and the Roberts Loop Trail. The next map below shows Soldier Creek’s trail system just west of Fort Robinson. 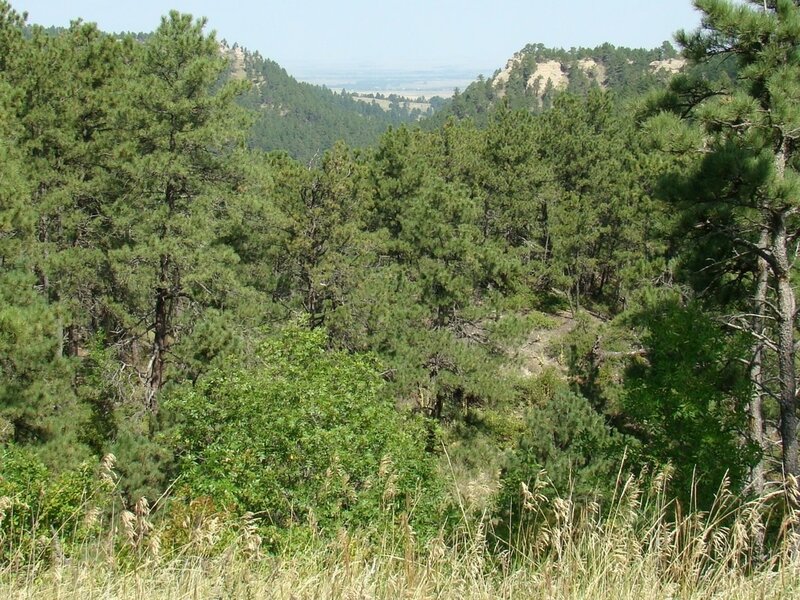 The Pine Ridge Trail itself was envisioned by some of the original proponents as a public use trail between Chadron and Crawford through the forests and summits of the Pine Ridge. While much of the trail is operational, many setbacks have slowed the development, including major forest fires in 2006 and 2012. There are some gaps where right-of-way has not been obtained to complete the trail. 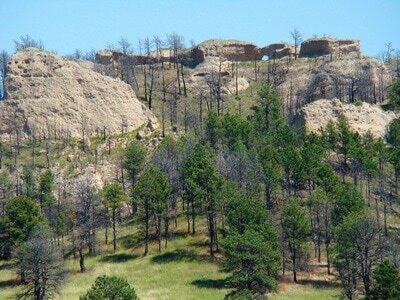 Roberts Loop Trail is the primary access point for the Pine Ridge National Recreation Area. 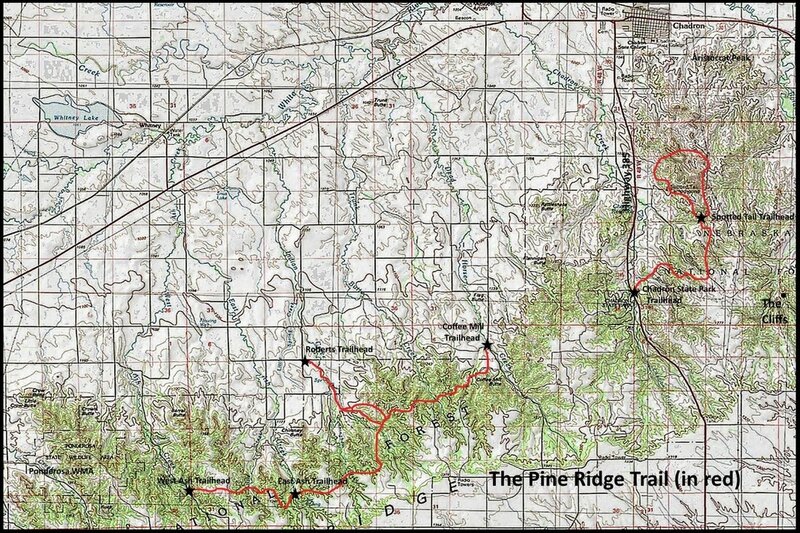 This 3-mile loop trail makes use of a short section of the Pine Ridge Trail near mid-point between the Coffee Mill and East Ash trailheads.